You will find St. Paul of the Cross to be a warm and welcoming place and you will find many opportunities here to learn and grow in your Catholic faith through ministries, programs, and events. 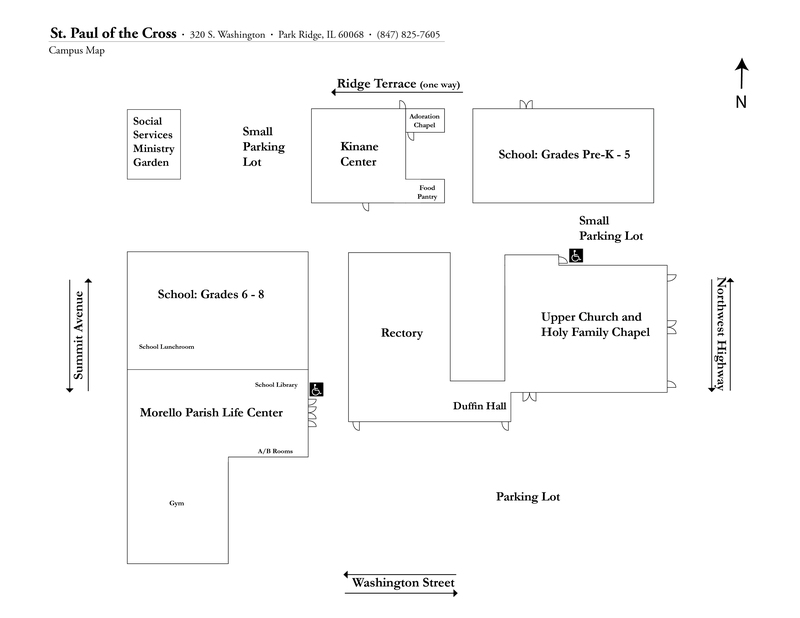 New Parishioner Registration is held on the first Sunday of each month from 8:30 a.m. to 12 p.m. in the Parish Life Center. Members of our Welcoming Committee are available during registration to answer any questions and to distribute welcome packets to all new members. As a registered parishioner our parish staff will better be able to serve you, especially in preparation for reception of the Sacraments, registering for our school or religious education program, sponsoring someone for Baptism or Confirmation, and even in wedding and funeral planning. You will also receive offering envelopes and all parish mailings. If you have questions about joining our parish, please contact the parish office. If you are not yet Catholic and are interested in learning more about joining the Catholic Church through our parish, please visit our R.C.I.A. page.